The foot scalder is designed for automatic scalding of poultry feet to facilitate their proper cleaning. a hot water supply pipe. Fitted with a discharge valve and temperature sensor. The scalder should be located under the shackle unloader, so that feet can be unloaded directly into the scalder, and with the help of the worm shaft coils they are moved towards the ejectors while being scalded. Feet discharged to the ramp are transported directly to the cleaner. 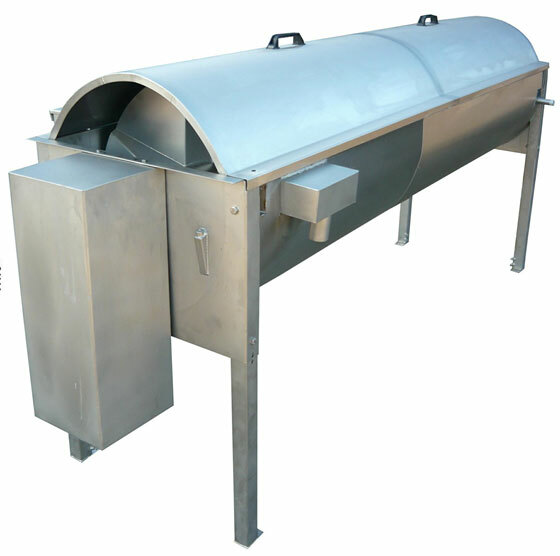 The cylindrical foot cleaner is designed for removing skin off poultry feet, after the scalding process. 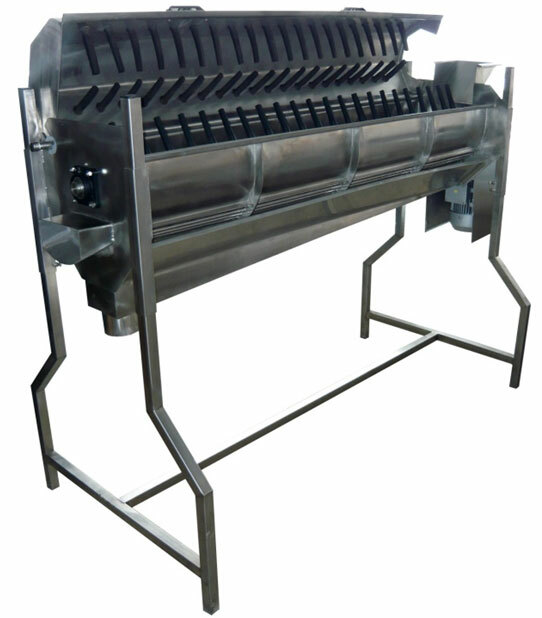 It is ergonomically and technologically justified for the cleaner to work with the scalder. Then, feet discharged from the scalder can slide from a ramp directly to the cleaner inlet. The rotating cleaning shaft moves feet between the rubber fingers, which results in peeling the skin. Water containing the skin escapes through the openwork bottom to the drain and further to the sewer. Water supply connection - ½"